In the past few days, we here at Redmond Pie have (generally) been reviewing apps that replace pre-included, first-party apps; apps that replace the stock launcher, music, gallery, browser etc. etc. While in most cases the stock first-party app does its job for the average user, enthusiasts are always on the look out for an app the job perfectly. They look for enhanced features, better performance, customizability and just an overall better user-experience. Such is the case with the stock Camera app on Gingerbread. It does what a camera app is supposed to do: take photos and let the user edit basic settings. One area where it lacks, though, is its user-interface and that is where Camera ICS comes in: it lets users enjoy the excellent Camera app from Android 4.0 Ice Cream Sandwich on Gingerbread and Froyo and comes with enhanced features not offered by the stock app. Check it out after the jump! For some odd reason, contents of the viewfinder (left) aren’t visible in screenshots. 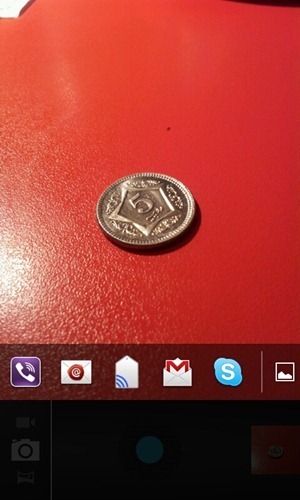 We’ve tested the app on a Samsung Galaxy S II on Android 2.3 Gingerbread and can confirm that it works as advertised. While this writer is more than satisfied with the strong stock TouchWiz Camera app, I’m sure there are plenty of people out there who’ve had a look at the stock Camera app included in ICS and wished to have that on their older phone. If that’s the case, Camera ICS is a highly-recommended app. There’s also incentive for people with ICS devices to check out the app since it offers improves existing features. 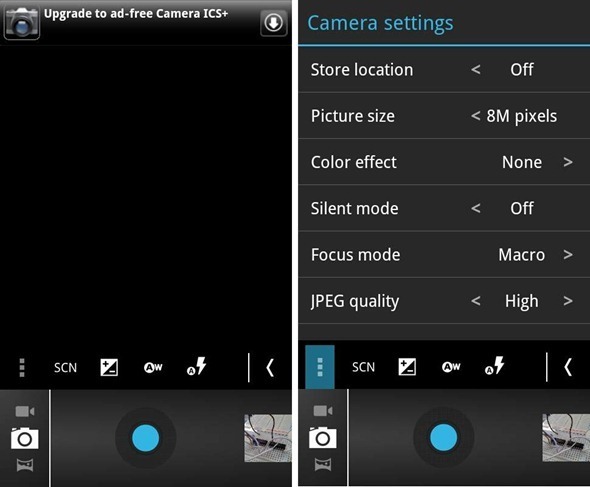 Camera ICS is available in two versions: an ad-supported version and an ads-free, “plus” version that costs $1.32. You can get your version of choice from the links embedded below.